At its peak, Sierra can do 125 quadrillion calculations in a second. Its simulations are 100,000 times more realistic than anything a normal desktop computer can make. The only two supercomputers that are more powerful are China’s Sunway Taihulight in second place and IBM’s Summit in first. 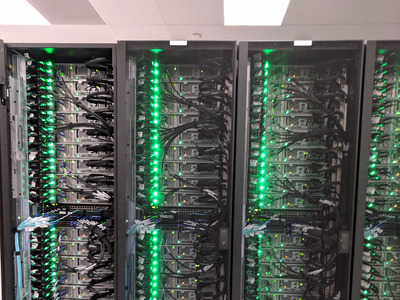 “It would take 10 years to do the calculations this machine can do in one second,” said Ian Buck, vice president and general manager of accelerated computing at NVIDIA. 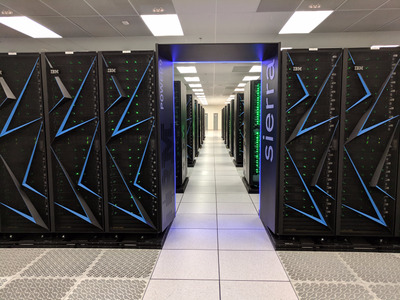 Powering such a massive electronic brain takes about 11 to 12 megawatts of energy, roughly the equivalent of what’s needed to power 12,000 homes – a relatively energy efficient level of energy consumption, according to Sierra’s creators. Right now, Sierra is partnering with medical labs to help develop cancer treatments and study traumatic brain injury before it switches to classified work. Many of the 4,000 nuclear weapons in the government’s stockpile are ageing. Once the Sierra switches to classified production in early 2019, it will focus on top secret government activities and it will use simulations to test the safety and reliability of these weapons, without setting off the weapons themselves and endangering people. Besides assessing nuclear weapons, this supercomputer can create simulations to predict the effects of cancer, earthquakes and more. In other words, it can answer questions in 3D. The lab and the Department of Energy worked with IBM, NVIDIA and Mellanox on this project. Talks for Sierra began in 2012, and in 2014 the project took off. Now, it’s six to ten times more powerful than its predecessor, Sequoia. What makes the Sierra notably different is the NVLink, which connect Sierra’s processing units and gives it more powerful memory. “What’s most fascinating is the scale of what it can do and the nature of the system that opens itself to the next generation workload,” said Akhtar Ali, VP of technical computing software at IBM. “Now these systems will do the kind of breakthrough science that’s pervasive right now. 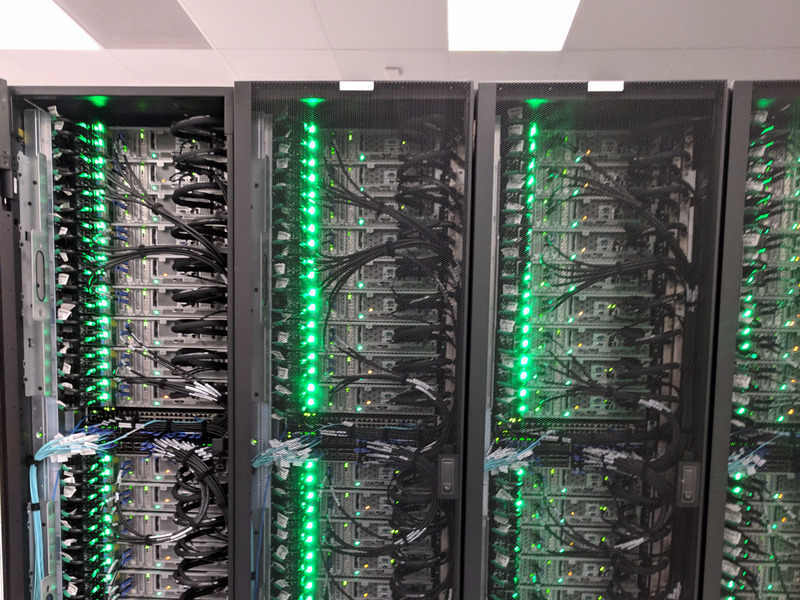 The lab also installed another new supercomputer called Lassen, which will focus on unclassified work like speeding cancer drug discovery, research in traumatic brain injury, and studying earthquakes and the climate. 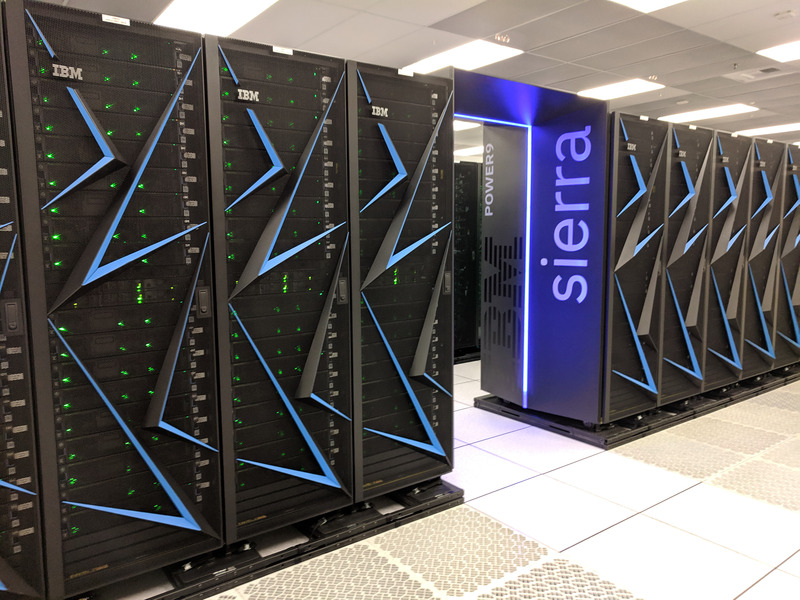 Sierra’s not the last supercomputer the lab will build. They’re already planning the next one: “El Capitan,” which can do more than a quintillion calculations per second — 10 times more powerful than the colossal Sierra. The lab expects to flip the switch on El Capitan sometime in the 2021 to 2023 time frame. 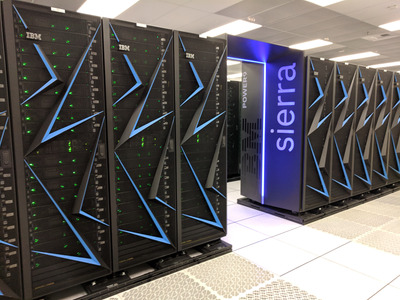 In case you’re wondering, the supercomputers are all named after natural landmarks in California. And no, Lawrence Livermore National Laboratories spokesperson Jeremy Thomas says, there are no plans to use the Sierra supercomputer for bitcoin mining. “While it would probably be great at it, mining bitcoin is definitely not part of our mission” Thomas says.